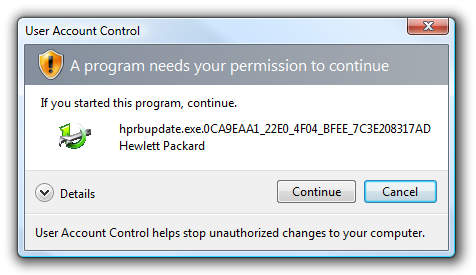 If you are using Vista and have an HP printer, especially of the All-In-One variety, you’ve probably noticed that once a week or so you get this obnoxious User Account Control popup dialog out of the blue asking for permission to run some Hewlett Packard update process called hprbupdate.exe. 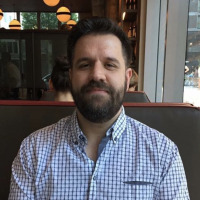 The problem is that by default the HP drivers include a couple of different updates, but those updates also require Administrator privileges to run, so you get prompted to run the updates. To make this even worse… the updates are for the help and support, not even for the drivers. 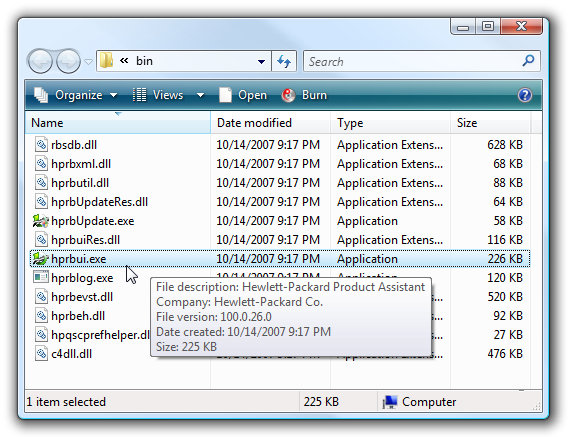 Once you get into this directory, launch hprbui.exe, which is the Hewlett-Packard Product Assistant UI. Once you open this up, click on the Preferences link on the left-hand pane. 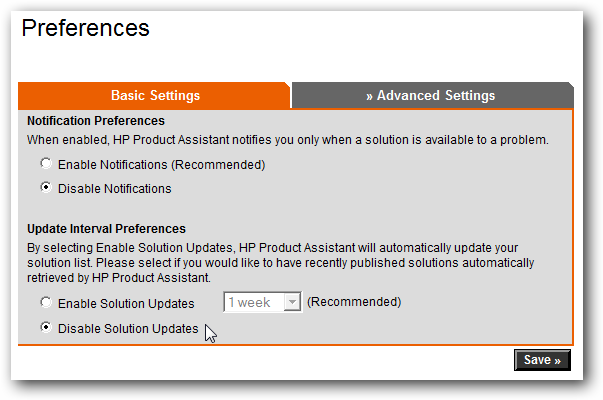 Now under the Basic Settings section you’ll want to click on “Disable Solution Updates”, and then click on the Save button. 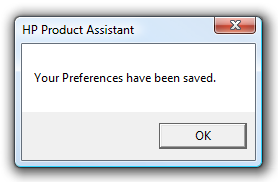 You should get the dialog saying that your preferences have been saved. This should disable one of the updates, but we’ll still need to get the second one. I’m not really sure that this update has to be disabled, but better safe than annoyed with popups, and there’s really very little reason to update the help content all the time if you don’t use it. 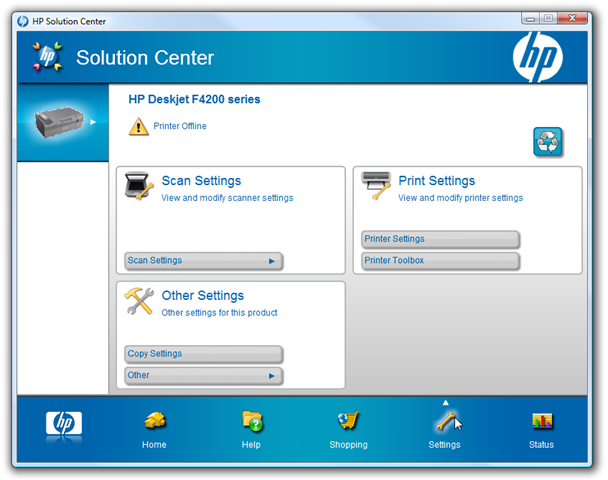 Open up HP Solution Center, and then at the bottom of the window click on the Settings button. 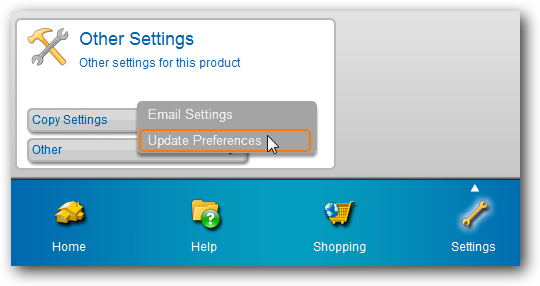 Now in the Other Settings box, hover your mouse over Other and then choose Update Preferences from the menu. 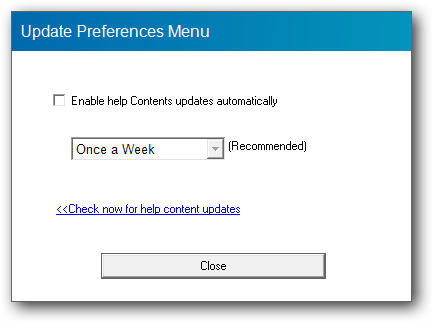 Now you can uncheck the box for “Enable help Contents updates automatically”. This should hopefully get rid of these completely ridiculous update prompts once and for all. 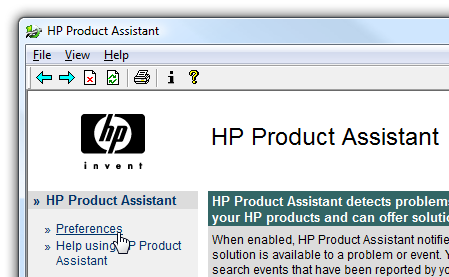 When will these vendors learn to use the built-in Task Scheduler in Windows for this type of thing? That’s what it’s there for!